A bicyclist ran right into the side of an SUV that was traveling on Route 20 about to turn left on Glen Road, according to Wayland Police. The Massachusetts bicycle accident left the biker at the Boston Medical Center in critical condition. Officers report that they found a bicycle helmet at the scene of the accident, which they assume the bike was wearing when the accident occurred. Officials are still investigating the accident. No charges have been filed, according to the Sadbury Patch. Our Boston bicycling accident attorneys understand just how dangerous it can be to ride a bicycle through the Greater Boston area. 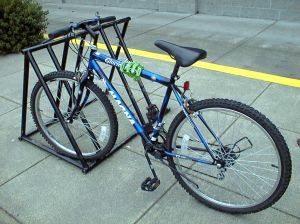 Luckily, the Massachusetts Bay Transportation Authority (MBTA) is working alongside MassBike to create new designs for bike racks that would make parking at the Pedal & Park areas more convenient for our two-wheeled travelers. Pedal & Park is a feature that will be coming to a number of MBTA stations in the area, including Oak Grove, Davis Square, Malden Center, Ashmont and Braintree. Installation of the Pedal & Park feature has already begun at the South Station and should be completed soon. The Pedal & Park racks will encourage bike riders to ride to the station to park their bike before traveling to the next area. This system will help to keep our local bicyclists away from congested and dangerous areas of traffic in the city. The new program also aims to get more people out of their car and on to their bikes, which would also help to decrease traffic in crowded areas. The additional and more convenient parking facilities will offer bike owners confidence in finding a spot when they arrive and to have a safe place to park while they’re away. After receiving feedback from users regarding the racks, a final decision will be made. For new bikers that may be thinking about using the Pedal & Park feature, you’re urged to register for one of the upcoming bike education courses. These classes help you to improve you bike maneuvering skills and bike safety knowledge. A majority of bike-related fatalities are a result of head injury. Children between the ages of 5 and 18 account for more than 50 percent of the bicycle accident victims that sustain injury. Male riders are three times more likely to be injured on a bike than female rider. Regardless, everyone is urged to bike safely and to remain cautious in our area. As more and more residents take advantage of the eco-friendly form of transportation, we all still have to worry about the dangers. Please bike safe and take advantage of the safe biking features we have in our area while the weather still permits. If you have been injured in a bicycle accident in the Boston area, contact Massachusetts Personal Injury Attorney Jeffrey S. Glassman for a free and confidential appointment to discuss your rights. Call 1-877-617-5333.